Birnie Hall is located in the village of Thomshill, approx 3 miles south of Elgin. 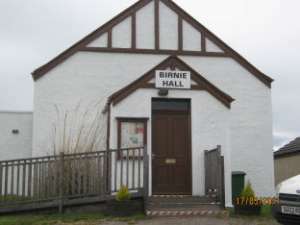 It is just over 100 years old, and is the focus for the parish of Birnie. The Hall has undergone cycles of activity and dormancy. 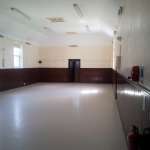 At present the hall is in use four or five evenings per week, with indoor bowling on two evenings, line dancing on two evenings, Sima Astronomy Club using it once per month and the SWRI using it once per month. Additionally, we have a Christmas Party for local children most years, and a summer barbecue, with other occasional fund raising or social events dotted throughout the year. 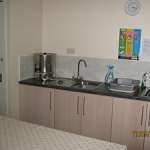 which has allowed us to upgrade the toilets, kitchen, heating & electrical systems within the hall. Glenlossie Distillery also funded the installation of solar panels in 2012, which has helped solidify our funding, and guarantee the long term financial stability of the hall. 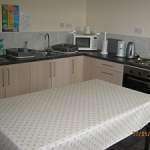 The accommodation comprises the main hall, small hall / committee room, kitchen & toilet area. 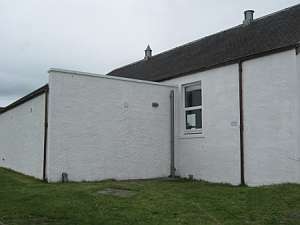 The hall is wheelchair accessible, and there are a re-fitted kitchen (2010) & new (2009) toilets, with full wheelchair access. 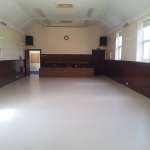 The main hall has a stage with basic spot lighting, installed high quality speakers / amp. The small hall was partitioned to allow storage of tables & chairs, but can be opened up to allow the whole room to be used as one if required. For functions it can accommodate up to 70 people. of up to approx 20 for meetings etc. Stacking tables are also available. Parking available for twenty cars. Heating & lighting are all electric, with the system upgraded in 2007 / 2008. 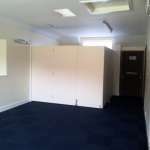 Hire charge is £35 per day or evening booking. but is available for other private bookings.